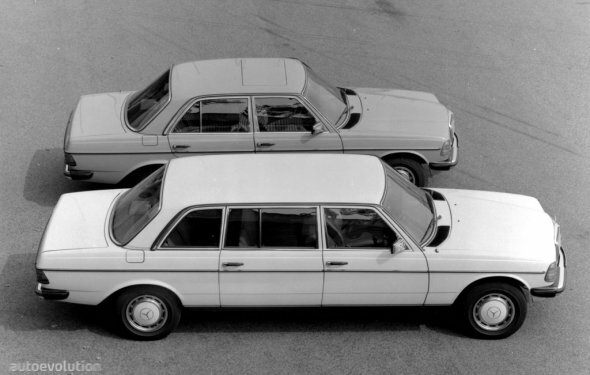 This 1978 Mercedes-Benz 300D is a factory limo with seating for up to eight. Though visually a bit rough, the interior isn’t at all bad, and the seller says its OM617 diesel five runs well. Its manual trans is another potential plus, mileage is given as 100k kilometers, and the seller further claims the car to be “very solid overall.” Find it here on Craigslist in Madison, Wisconsin for $5, 500. The exterior has clearly been left to weather for some time, and though there’s evidence of rust, the seller says it’s very solid overall. These were factory-built cars that utilized standard W123 platform underpinnings, but nonetheless bore their own designation of V123. Most everything here is standard 300D, including bottle cap wheels and louvered-style taillights. The front portion of the interior displays dirty carpets, a missing kick panel and some stray wiring. The steering wheel looks like it could be a Nardi piece, but the description doesn’t mention it. Odd photo angles don’t allow much to be seen, but fabric upholstery on the seats matches part of the rear and looks well-preserved. The rear cabin features this slightly odd seating arrangement, with what looks like a folding, 60/40 split bench. Legroom for rear bench passengers should be huge with the split item stowed away, and probably isn’t too bad for either row even in this full eight-seater configuration. The ad doesn’t include any engine bay photos, but 300D’s were powered by the venerable OM617 diesel, an engine known extreme longevity. Output was rated at 79 HP and 127 lb. ft. of torque, and the manual transmission should help make full use of this modest output. Factory performance numbers list top speed at 92 MPH, and other sources claim a 0-60 of 18.6 seconds and quarter mile of of 21.5–and to think, there were also four-cylinder versions.